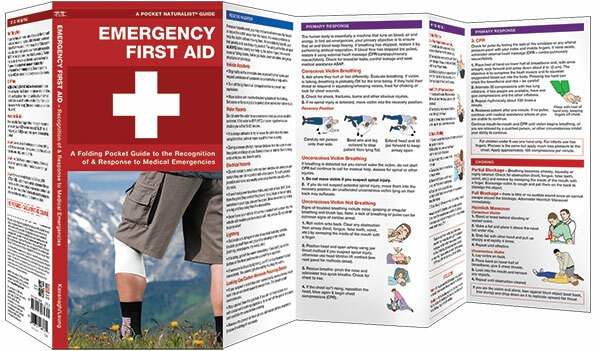 Emergency First Aid is a pocket-sized, folding reference guide on how to recognize and respond to common medical emergencies. It will allow the user to check for vital signs and assess the severity of medical emergencies and when to call for help, how to care for victims until medical help arrives, or what to do if a situation requires immediate response (e.g., choking, emergency childbirth). In an emergency, it will quickly and simply instruct you of what you can do to help. 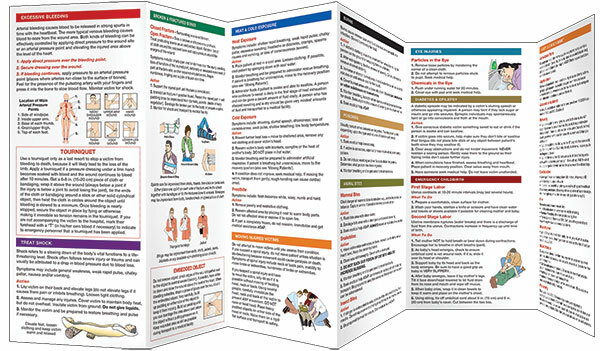 Laminated for durability, this lightweight, pocket-sized folding guide is an excellent source of portable information. Made in the USA.